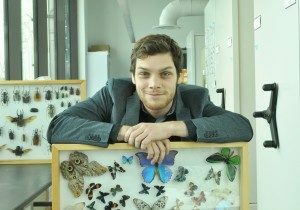 Étienne Normandin is the manager of the Ouellet-Robert Entomological Collection. Along with ensuring the longevity, growth, and accessibility of the collection, he helps supervise and coordinate other lab personnel and participates in preparing and presenting entomology teaching materials for the courses Entomology BIO2440 and Insect Systematics BIO3441/6441. He is particularly keen on bees (Apoidea – Wikipedia). Peter Harper is honorary curator of the aquatic insects. He was the curator of the collection from 1971 until his retirement in 2004. His research specialty is on the taxonomy and diversity of aquatic insects, especially of stoneflies (Plecoptera – Wikipedia). Louise Cloutier was the collection manager for 25 years until her retirement in 2015. She continues an active research program in the collection on the diversity and taxonomy of midges (Chironomidae – Wikipedia), an aquatic family the most diverse family of true flies. Joanie Guillement is a volunteer dedicating a full day, weekly, to the curation of the collection. Her efforts are greatly appreciated!